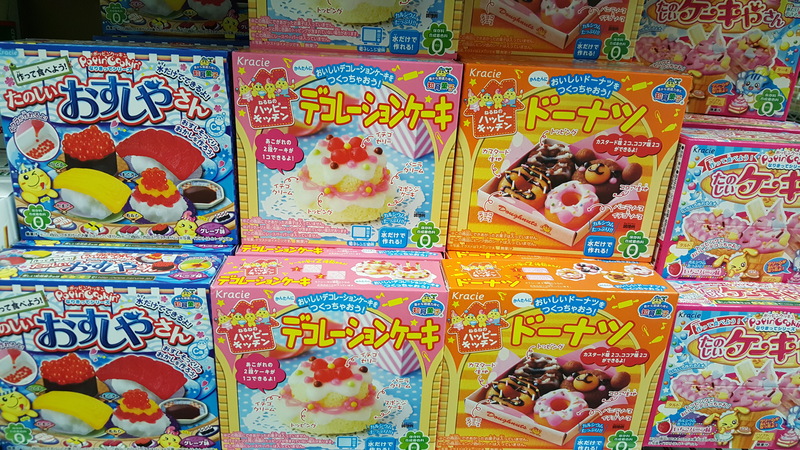 If you’re a fan of the kawaii (かわいい) side of Japanese culture, then chances are you’ve heard of Kracie brand Popin’ Cookin’ (ポッピンクッキン), the super kawaii DIY snack and candy making kits. Because kawaii culture is huge right now, there have been many video tutorials popping up around YouTube that shows people making Popin’ Cookin’, and because of this trend there’s a Popin’ Cookin’ boom on the rise. 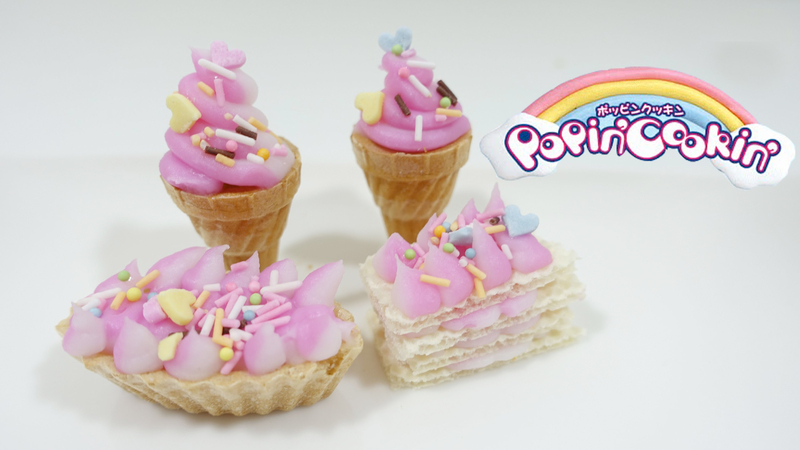 Popin’ Cookin’ is a DIY kit that gives you everything you need to make cute, realistic looking (and often realistic tasting!) snacks. From the ingredients to the mixers, all you need at home is some water and a microwave to make these cute treats. A lot of boxes even have paper decorations to make your Popin’ Cookin’ look as authentic as possible. The creator of Popin’ Cookin’ says that he remembers wanting to own a cake shop as a kid, so he made this treat in order to create an easy-to-do experience that everyone can take part in. Popin’ Cookin’ boxes all come with a plastic tray inside that, when cut down, will contain all the bowls and cups needed for making your candy. They also come with a plastic spoon, so you don’t have to worry about clean up after! The instructions are in Japanese, but the pictures that accompany it help make it simple and easy. As mentioned before, there are also tons of online video tutorials that you can find to walk you through the instructions. At Asahi, we try to get in as many Popin’ Cookin’ as possible so you can take part in this craze without having to pay any crazy shipping costs! Just pop on in and buy your favorite. We also have some more DIY-style candies like mini “ice cream” cones and build your own gummy sushi kits. You can also get a build your own candied apple or chocolate covered banana candy kit! We’re also always on the lookout for more fun candies for you to buy; just let us know if there’s something that you’re looking for. There’s no stop to the fun snacks you can get at Asahi! 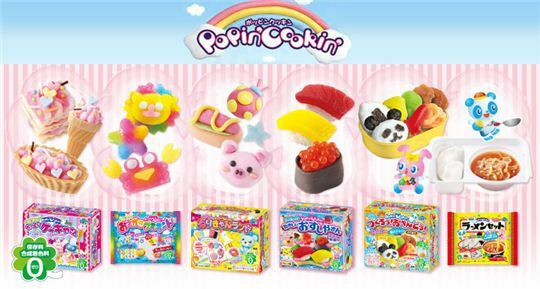 So, have you tried making your own Popin’ Cookin’, yet? What’s your favorite? Are there any Popin’ Cookin’ that you’d like to get your hands on, or even some that you wish would be invented? Let us know in the comments!